Suzy McCullough-Serpico is a sweetheart and I’m so glad she stopped by for a photo session. 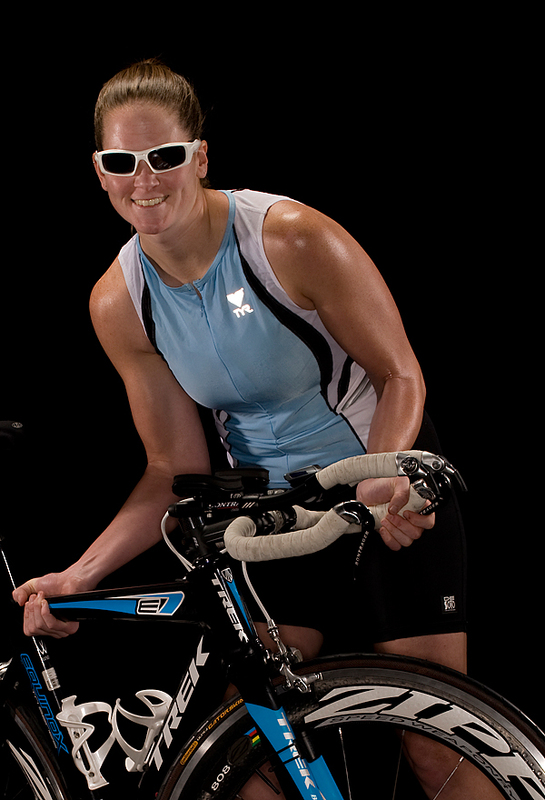 She is an Elite Triathlete who has earned her way into the prestigious Ironman competition in Hawaii this fall 2010. She wanted some promotional pictures for her website that will hopefully bring her sponsors. Triathlons combine three events, swimming, biking and running. 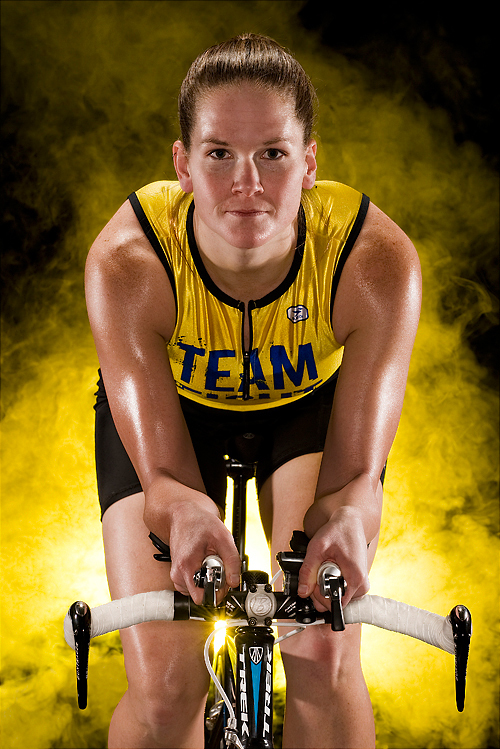 Being a triathlete isn’t something you do casually like joining a softball team. It’s all about preparation and dedication. 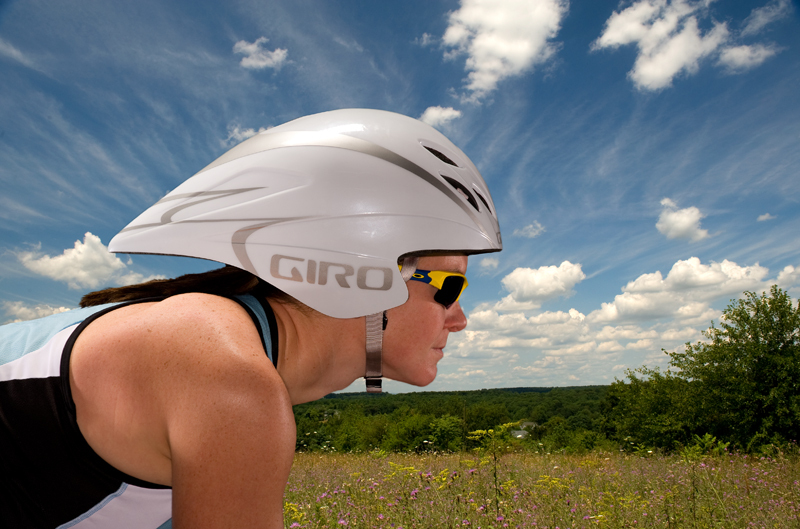 After spending a few hours with Suzy I learned what it takes to be an Elite Triathlete. She is someone who pushes through the pain, someone who sees distant goals, someone who thinks about and plans the next workout, and for protein…. Suzy loves peanut butter. All the best of luck to you this year at the Ironman competition. Ironman began in Hawaii in 1978 with 15 competitors. Gordon Haller, a taxi-cab driver finished first in 11 hours 46 minutes and is considered the “original” Ironman. The following year Ironman got a boost of publicity when ABC sports filmed the event. Julie Moss, a lifeguard, lead the swim and the bike and was set to be the female champion when just 20 yards before the finish she collapsed. Trying to stand, her legs wouldn’t support her, she collapsed again and began to crawl to the finish. Julie came in second and ABC’s Jim McKay called it the most inspiring sports moment he had ever witnessed. In 2009 the top finishers completed the course in a little over 8 hours. There were an estimated 1770 athletes representing 48 countries and all 50 states and ranged in age from 20 to 80 years old. The race starts at 7am and competitors must finish by midnight, 17 hours later. This year we will be rooting for Suzy. GO SUZY! That 2nd shot is very cool. Love it. Great shot. #1 is awesome. Are these HDR? I guess not. Sry but I dont understand… this pictures are not good at all… A lot of the pics on this site are, but not this one. You have a lot of bad reflections from what I suppose is a flash witch you dont even have bother to handle? Why? © 2019 Before The Coffee|ProPhoto Photography Website by NetRivet, Inc.